THEY were a magnificent seven, the Scots medical students who blazed a trail for women in operating theatres around the world. Now the achievements of the pioneering students and their successors are being hailed at last. 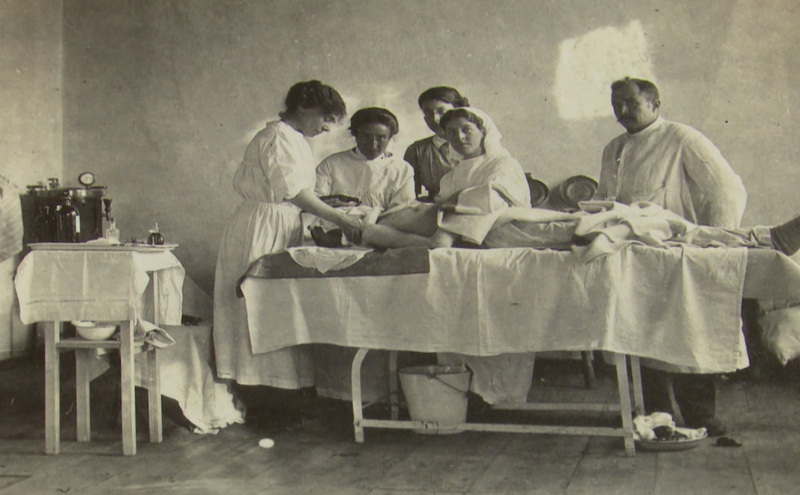 The Surgeons’ Hall Museums in Edinburgh is bringing the work of the women who paved the way in operating theatres to the fore. The Royal College of Surgeons of Edinburgh was founded in 1505 and the museum was originally developed for the teaching of students. It wasn’t until 1869 that the first women matriculated in medicine from Edinburgh University. It came after a battle by a group of women led by Sophia Jex-Blake. The group became known as the “Edinburgh Seven” and faced abuse from male medical students who opposed their presence. That famously culminated in a riot at Surgeons’ Hall in 1870 as the women battled to attend an exam. The museum has a range of personal surgical instruments and slides belonging to Betty Slesser, one of the first women to specialise in thoracic surgery, which have recently been donated by her relatives, boosting the museum’s collection. Curators are also appealing for any personal stories and memorabilia such as diaries and papers, surgical instruments and awards relating to female surgeons throughout the 20th Century to the present day. Louise Wilkie, assistant curator at the Surgeons’ Hall Museums, which is owned by The Royal College of Surgeons of Edinburgh (RCSEd), said: “The collections from male surgeons tend to be of specimens and their personal instruments. “But when women came into surgery, there were stricter laws around human remains and they tended to use hospital equipment. The museum highlights the work of female trailblazers such as Gertrude Herzfeld. Born in London to Jewish immigrants, she was Scotland’s first female surgeon. She qualified as a medic in 1914. A range of specimens she collected during her work are on display, such as a small intestine of a newborn boy and a stomach mass of indigestible material known as a phytobezoar. Other items included in the collection are medals awarded to Dr Elsie Inglis in recognition of her work. She founded the Scottish Women’s Hospitals for Foreign Service, an all-female medical unit operating during the First World War. The pioneers span across the decades from Alice Headwards-Hunter, the first woman to pass the exams of the RCSEd in 1920, to Caroline Doig, a paediatric surgeon who was the first woman to be elected to the RCSEd Council in 1984. The most recent additions to the collection are a stethoscope and various instruments that belonged to Betty Slesser. Born in India, Betty qualified from Edinburgh in 1941 at a time when women still had to fight to gain experience and recognition in the field of surgery. She was one of the first women to specialise in thoracic surgery and in 1995 recounted her experience of her first job in Plymouth at an RCSEd event. She said: “We worked extremely long hours, including Saturdays and Sundays, without feeling tired or badly done by. To us it was all invaluable experience. Wilkie said the Betty Slesser contribution highlighted a period during which opportunities became available for women in surgery. “The First and Second World Wars did give the opportunity to enter posts which would probably have otherwise been filled by men,” she said.